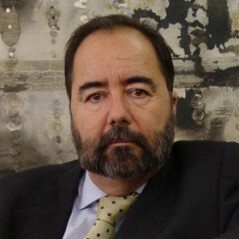 José Antonio Suárez is a Master in Business Administration and a Bachelor of Law. He provides comprehensive legal advice in the areas of entertainment and intellectual property law to an ample spectrum of companies, spanning from production and distribution companies to broadcast networks, national and international public bodies and professional associations. Recognized as an expert in the field, he has been frequently invited as a speaker at conferences and symposia both in Spain and worldwide. He has also written various books on issues relating to Entertainment and legal aspects in International Co-productions. He is also member of the International Bar Association, the European Film Academy, the Iberoamerican Institute for the Defence of Authors Rights and the Literarian and Artistic Association for the Defence of the Authors’ Rights.